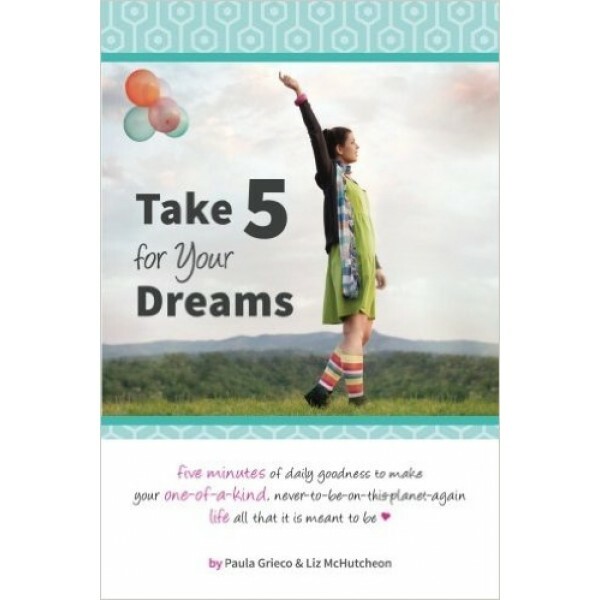 Created especially for teen girls, Take 5 for Your Dreams provides inspiration and doable steps for living your biggest, boldest dreams starting now. Take 5 is based on two years of research and over 100 interviews with teen girls from diverse backgrounds and circumstances across the United States. It is designed to both inspire and provide practical steps for young women to identify what they really want and take easy actions to pursue their biggest, boldest dreams. This really can't wait until next year or after high school or college or once a young woman gets settled in her career. That's how lives pass wholly unexamined. 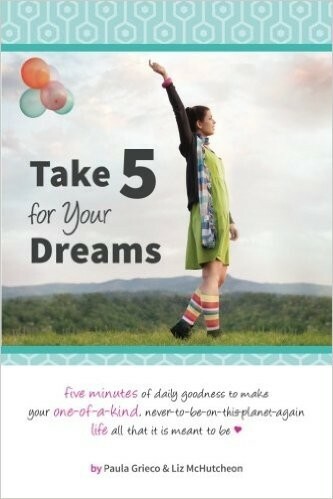 At a time when young women are inundated with messages about what they should look like and how they should act, Take 5 provides a refreshing alternative with a focus on understanding what really matters to you and how to take practical actions to achieve what you really want.